Though the team has been training for years, Yanawana Herbolarios’ first initial post disaster response experience was in 2017 during Hurricane Harvey on the Texas Gulf Coast. We offered four free botanically integrative clinics in the Houston metro area serving a minimum of 160 residents including the 3rd Ward, Galena Park, Pasadena, and League City communities. Yanawana Herbolarios also provided healthcare services to over 80 residents of Aransas Pass and Port Arthur communities. 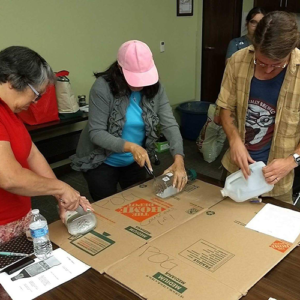 The week of September 11th through 14th Yanawana Herbolarios hosted a free week of botanical healthcare clinics in San Antonio and New Braunfels, Texas in partnership with The Human Path. Clinical locations included The Movement Gallery, Ella Austin Senior Center, The Mission Branch Library, The San Antonio Food Bank, and The Kitchen Table at the New Braunfels Food Bank. 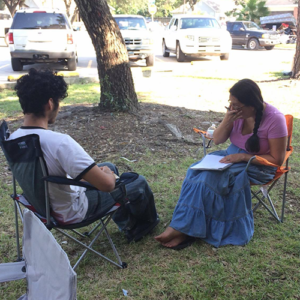 Services were provided to approximately 100 people. Healthcare is especially important in post-disaster environments. Help ensure that others in need receive help by donating today!